We&apos;re sure that John Paulson and his ilk are taking some comfort in Bill Dudley&apos;s soothing words. Unfortunately for them, no one else seems to be paying attention. 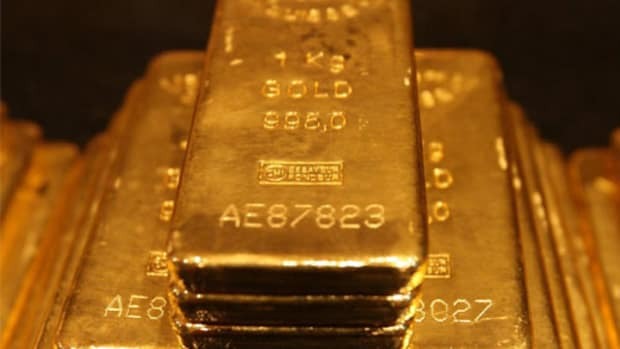 Gold prices slumped to their lowest level in nearly three years Wednesday after a selloff at the start of Asian trading reverberated through trading floors in London and New York. The most actively traded contract, for August delivery, fell $45.30, or 3.6%, to $1,229.80 a troy ounce on the Comex division of the New York Mercantile Exchange. This was gold&apos;s lowest settlement price since Aug. 23, 2010. Gold for June delivery also fell 3.6%, down $45.20 to settle at $1,229.60 an ounce…. On Tuesday, data showed a pickup in durable-goods orders and housing construction, while consumer confidence climbed back to prefinancial crisis levels. Investors and traders have been scrutinizing every economic report to get a sense of when the Fed might scale back an $85 billion-a-month bond-buying program. The Fed has said it would end the program when the economy shows continued improvement. This trade is gettin' crowded. The Inquiring Mind Of J. Paulson Wants To Know: Why Aren't You Buying Gold? Prospective Puerto Rican John Paulson may have an unpleasant tax problem here in New York, but he's got a bigger problem with his biggest investment. Despite his faith in and love for shiny objects, the rest of the world simply does not share his insatiable appetite for gold. What Should You Invest In If You Think Gold Is For "Pantywaists"?